Thanks to a generous grant from the Siletz Tribal Charitable Contribution Fund, and matching funds provided by the City of Adair Village, the East Barracks Building’s internal walls have been framed. Painting of both barracks buildings has begun. And soon the electric components for our ADA-accessible door will be installed. The Adair Living History Board of Directors expresses its gratitude to all who have helped us to begin raising the barracks! We will start writing grants soon for Project #3, basic electrical wiring. Return often for updates to our progress. Thanks to you and three local granting agencies, Phase I is complete. This year ALH board members are busy writing grant applications for Phase II funding. Phase II will include painting the exterior of both barracks buildings; installing the electronic components to the ADA compliant door for push-button operation; and, framing the interior walls. We are planning storage space for tables and chairs, a small kitchen, an ADA-compliant bathroom, a large work/artifact storage area, and an office. Please consider making a generous donation and help us raise the barracks! 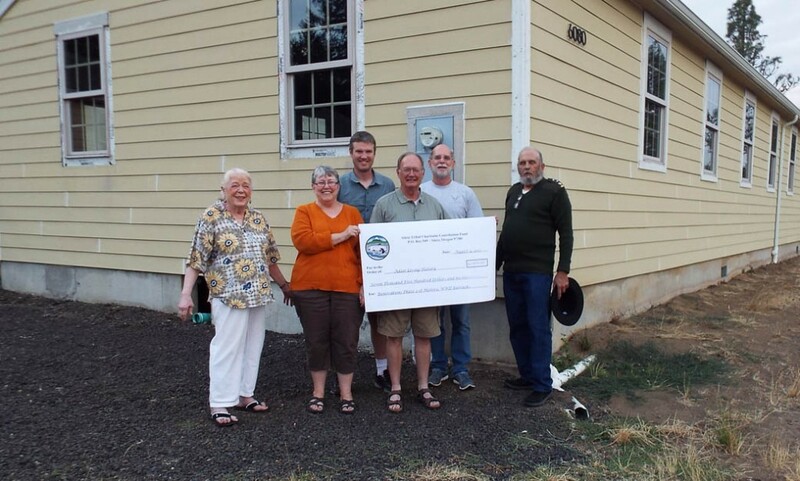 Thanks to grant awards from The Confederate Tribes of Siletz Indians, The Corvallis Kiwanis Foundation, the Benton County Cultural Coalition, and many generous gifts from local friends and supporters, the Phase I of Raising the Barracks is now fully funded.The barracks were opened to the public for the first annual Founders Day held on May 21, 2016. Sign up! Enter your email address to subscribe to this page and receive notifications of new updates by email.